Beach Service : As a service for our guests beach service is included with your reservation – 2 beach chairs and one beach umbrella set up on the beach & reserved for you each day (March 1 – October 31). If you wish to rent more equipment during your stay you should contact the Beach Service attendant on the beach to make arrangements. We suggest you go out to the beach early your first day to make arrangements for your rentals. Sand Dunes: Please make everyone in your group aware that it is illegal to walk on or across the sand dunes along the beach. They are there to protect from hurricanes. If you are caught walking on the dunes there are heavy fines. Don’t walk on the Dunes! Sea Gulls : Do not feed sea gulls. There is a $200 fine if you are caught feeding them. For current conditions and flag updates, text “FLAG” to 67463 to receive a link or visit http://www.swfd.org/beach.php . Double Red Flag: Water is closed to public (dangerous water conditions). If caught in the water during double red flags you can be ticketed, fined or even arrested. More importantly, you can die. Please don’t get in the water! Red Flag : High Hazard (high surf and/or strong currents). When red flags are present, adults are only supposed to go in up to their waist and small children are not supposed to enter the water. If you go in under red flag conditions, be sure to have a flotation device with you. Sharks: And one last precaution, there are sharks are in the gulf. They are generally more afraid of you than you are of them. 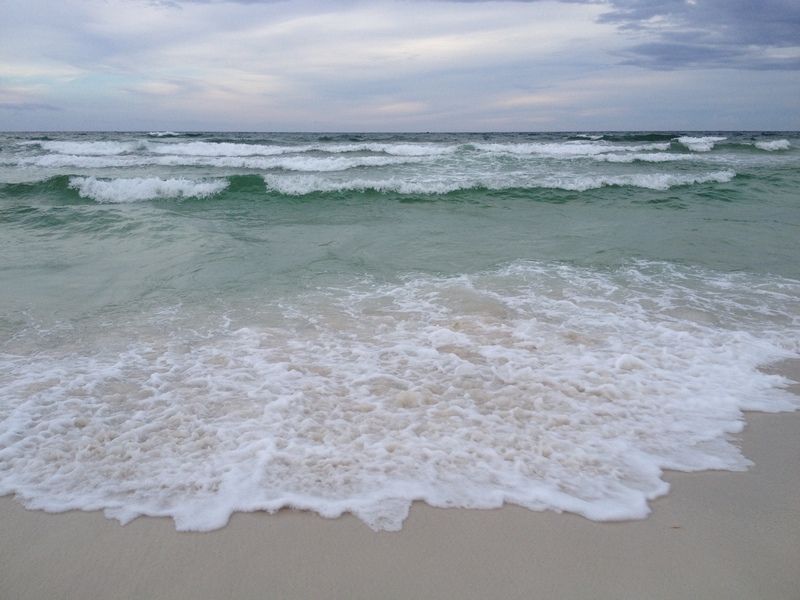 Thankfully the waters in Destin are generally very clear so you can usually see them. If you are in the water and see a big school of bait fish–often birds will be swarming in the area of baitfish schools (or you can also smell them—they smell super fishy), it’s best to get out of the water—generally there will be dolphins and sharks following them. The sharks rarely come close to shore; they mainly hang out behind the sandbar which is around 100-200 yards off the shore. Bottom line: use common sense whenever in the water, especially in the evening (when sharks do most of their feeding). Red tides are caused by an explosive growth and accumulation of certain microscopic algae in coastal waters. The organism can kill fish in vast numbers, make shellfish poisonous to humans and release toxic airborne irritants that can cause respiratory distress. While Red Tide is not usually an issue in our location occasionally there may be evidence of the unwelcome algae bloom in the waters off our shore. Credit to Christine Karpinski for most of the information on this page.